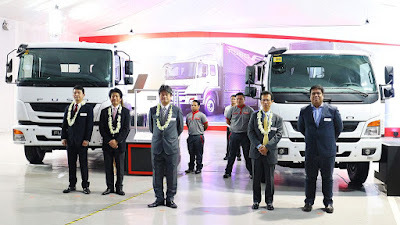 Mitsubishi Motors Philippines Corporation (MMPC) inaugurated the very first Fuso dealership outlet in the country that will be dedicated to the sale of brand new Fuso vehicle and aftermarket services. The FUSO dealership, under the management of Diamond Motor Corporation (DMC), is strategically located along Quezon Avenue in Quezon City. With approximately 2,891 square meters lot area, DMC FUSO Quezon Ave. (DMC FUSO QA) is fully-capable of accommodating the aftersales demands of FUSO customers, from Light-Duty up to their Heavy Duty trucks. DMC FUSO QA has a total of five work bays, complete tools, equipment and genuine spare parts, and manufacturer-certified technicians. Its showroom is open to customers from 9:00am until 6:00pm during Monday to Saturday while the service shop is open from 7:00am until 4:00pm from Monday to Friday. 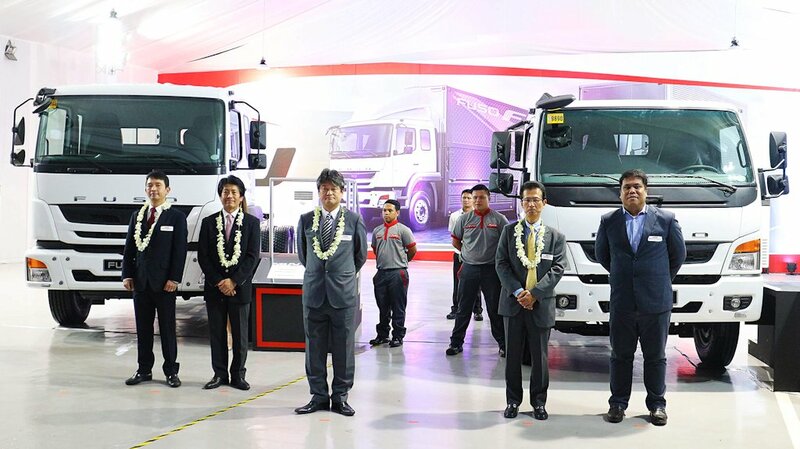 At the same event, MMPC unveiled two new truck models, the Fuso FI and FJ in an effort to gain a later share of the truck market. Previewed at the 6th Philippine International Motor Show (PIMS) last September, the Fuso FI and FJ were officially unveiled. These two world-class Fuso workhorses will fill in Fuso’s line-up in the medium and heavy-duty category. The 6-wheeler FUSO FI 1217R with a Gross Vehicle Weight of 11,990 kilograms is FUSO’s additional entry in the Medium Duty Truck segment. Equipped with a new generation 4D37 diesel engine, the FUSO FI is capable of delivering 172 horsepower and 520 Nm of torque while lowering operating cost. Its 6-speed manual transmission is designed for smoother operation to improve driving efficiency. Aside from the high performance powertrain, the durability of the FI is also indisputable. With the deeper and thicker frame members in the chassis that are shot-peened and powder-coated, it gained greater surface strength and resistance to corrosion. The rear suspensions are also installed with taller stack of laminated leaf spring to provide higher capacity to carry bigger loads. Meanwhile, the 25-tonner 10-wheeler FJ 2528R is the first Heavy Duty Truck in the country to have a natural 32-feet cab to end frame chassis. Powered by fuel efficient 6S20 diesel engine, the FJ is capable of delivering an output of 282 horsepower and 1100 Nm of torque. The 6S20 engine is mated to a 9-speed transmission that’s designed for smoother operation, better acceleration and fuel economy. The FUSO FI 1217R is available in the market at a suggested introductory retail price of P 1,900,000 while the FUSO FJ 2528R is at P 3,000,000. Both the Fuso FI and FJ models are manufactured by Daimler India Commercial Vehicles.